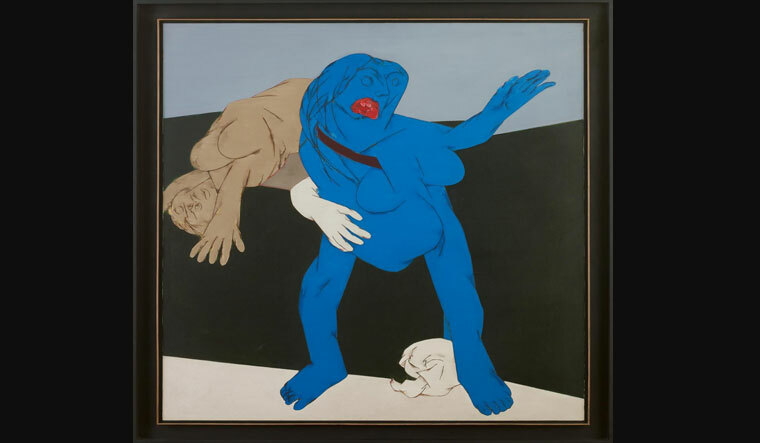 In a record-breaking sale at an online auction on Thursday, Tyeb Mehta's iconic painting Kali (1989) was sold at a whooping Rs 26.4 crore, setting a new record for the artist. "Modernist Tyeb Mehta has tonight achieved a new world record at Rs 26.4 crore (approximately $4 million) with the sale of Untitled (Kali), 1989, at Saffronart's Summer Online Auction," Saffronart said in a statement. Mehta's previous world record was held by leading auction house Christie's. In May 2017, Untitled (Woman on Rickshaw), 1994, was sold at a Christie's auction for $3.56 million (Rs 22.99 crores). Saffronart has not revealed who bought Kali, with a representative saying that disclosing the identity of the buyer was against their policy. "The sale of Tyeb Mehta's Kali marks an important achievement in modern Indian art sales, and paves the way forward for online auctions of Indian art," Dinesh Vazirani, CEO and Co-founder of Saffronart told IANS after the sale was announced. Mehta's Kali is the largest of only three standing figures painted by the artist. It was once part of the art collection of the eminent theatre director, Ebrahim Alkazi. Mehta, who spent most of his life in Mumbai, passed away there on July 2, 2009 following a heart attack. He was a recipient of the Padma Bhushan in 2007.